Winter fun Snow Sledding with the new Mega Sled! 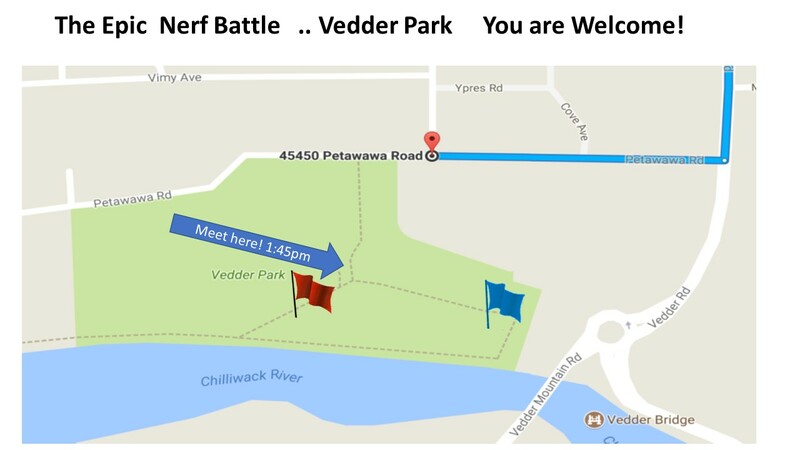 IAG_Sledding Event Vedder Bridge Chilliwack from Billl Coughlin on Vimeo. You are Invited to come out for Lots of Fun with Capturing the Flag Battles! Next War probably in May when weather is warm at 1:30pm ! 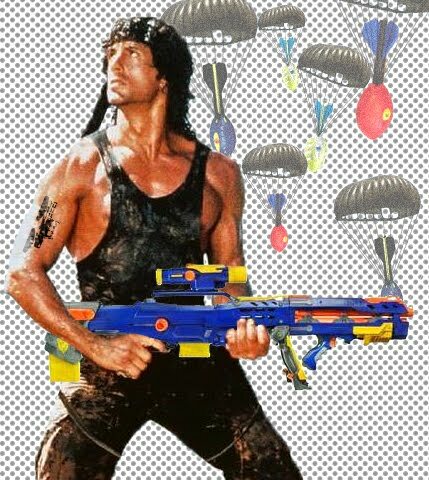 Bring your own nerf guns, and please donate any extras. We will supply white fluorescent darts, If you don't own a nerf gun don't rush out to buy one, we have about 85 Nerf Guns and Foam Swords to lend out. Remember to donate any extra nerf guns! Everyone will need eye protection. We will have sunglasses for you to borrow, but if you can please bring your own- sunglasses, safety goggles or a face shield. Also, there is a dress theme- Future Warriors. What does that mean? Think Halo, Ironman, Mad Max, Steampunk, CyberPunk, Star Wars...whatever you think it means. Remember, you don't have to dress up, but it does make it more fun, and there will be some prizes for best dressed. 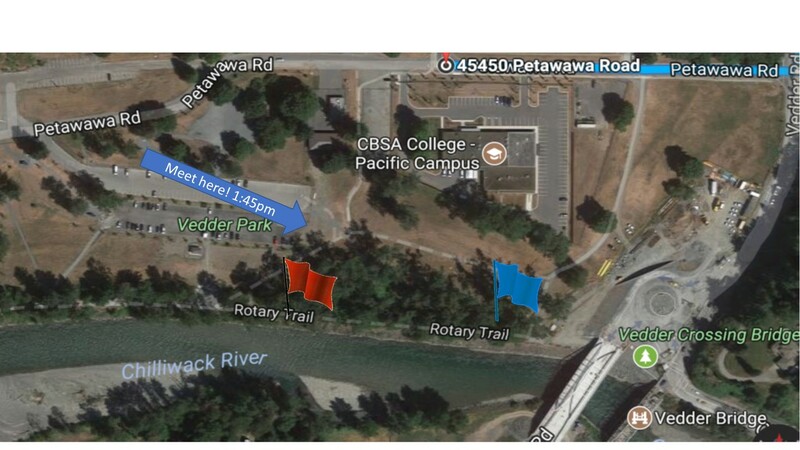 So guys/girls, we'll see you at Vedder Park at 1:30pm, ready for action. If we have over 200 participants, we will run the Laser Tag events at the same time, and we may have to do a new event every hour. Blue Team Wins 5 Times in a Row!! We have 80 Nerf Guns LOADED and ready to Play, but you are welcome to bring your own too. You will be joining the Red or the Blue Team. We have sunglasses for all and are mandatory for kids under 8.